Welcome to St. Therese Catholic Church! 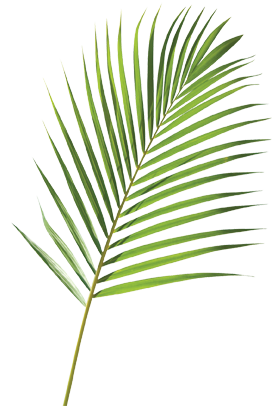 ** The rest of our Holy Week schedule can be found here. St. Therese Catholic Church, as a happy faith community, welcomes you with joyful hearts to our church. Celebrate the gift of the Eucharist with us, whether newly arrived or longtime registered. If you are not registered and want to belong to this happy family of worshipers, please stop after Mass by the church hall or the parish office to pick up a registration form or call us at: (865) 457-4073. APRIL CALENDAR: Click here to keep track of all the events going on this month! EASTER FLOWERS: LAST WEEKEND TO DONATE IS PALM SUNDAY! If you would like to donate toward the flowers that will fill St. Therese on Easter morning in honor of or in memory of loved ones, please drop your donation in the place provided on the table in the parish hall. Envelopes can be found in your monthly mailing or you may use one provided in the back. Thank you, as always, for your generous contributions. CCW BAKE SALE: The semi-annual bake will be held after the Masses this weekend (Saturday, April 13, and Sunday, April 14). Please bring your best homemade goodies to sell OR, if you are better at eating, then please plan to visit our goodie tables! Profits are earmarked for the Deanery project for 2019-2020. Thank you in advance your generous donations! This is a much anticipated and delicious event!! WASHING OF THE FEET: Fr. Richard will wash the feet of twelve parishioners at the 7 p.m. Mass on Holy Thursday (April 18). If you are interested in being one of the twelve, please sign the list on the purple Lenten table in the parish hall. BLESSING OF BREAD: There will be a blessing of bread on Holy Thursday. You may bring your own loaves that evening to be blessed and taken with you, or you may bring a loaf to leave for other Mass attendees. EASTER CANDY St. Therese Parish & Family Life will host an Easter Egg Hunt after 11 a.m. Mass on April 21. All children younger than 10 are invited. Please consider donating candy to fill the Easter bags that will be available in the back of church that morning. All types of candy are welcome. Donations can be dropped in the pink basket on the table in the parish hall. Good Friday: Pontifical Good Friday Collection for the Holy Land, which helps the Pope in his charitable assistance for Christian communities in the Holy Land. Easter Sunday weekend for the Diocese of Knoxville Collection for Seminarian Education. Though we have one of the smallest dioceses in the U.S., we are blessed with a rich harvest of vocations to the priesthood, with 13 men enrolled in seminarian studies. Please be generous in supporting our seminarians! 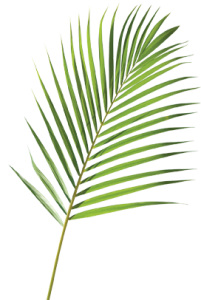 ROSARY RECITATION: Please join us in praying the Rosary before Mass each Sunday of Lent beginning at 10:30 a.m. We will begin at 10:20 a.m. on Palm Sunday to accommodate our 10:50 start time for Mass, which will start outside. The rosary will be prayed at 4:30 p.m. before Saturday Mass on April 13. RELIGIOUS EDUCATION: Our Challenge and Conquest class will not meet until our final two classes, which are May 1 and 8. Confirmation candidates will meet 10 a.m. -noon Saturday, Aug. 27, to prepare for Confirmation. For more information and all our documents, click the Youth News tab above or find the calendar here. FOOD PANTRY: An excellent way to practice almsgiving during Lent is to help the Social Action Committee as they collect nonperishable food and personal hygiene items. Please consider bringing in donations to help local food pantries. Canned protein items such as tuna, canned chicken, beef stew, etc. are needed. As always, ANY items are appreciated. LENTEN BIBLE STUDY: “No Greater Love” is a biblical pilgrimage that reveals Christ’s amazing love for us. This video study program meets 6:30-8 p.m. for two more Wednesdays (April 10 and 17). CALLING ALL VOICES: If you feel called to participate musically in church (cantor, instrument, etc.) please contact Mary Tuskan at the number listed on the inside front page of the bulletin. The choir is always looking for new members! AMAZON SMILE: AmazonSmile is a website operated by Amazon with the same products, prices, and shopping features as Amazon.com. The difference is that when you shop on AmazonSmile, the AmazonSmile Foundation will donate 0.5% of the purchase price of eligible products to St. Therese. To do this, simply click here or enter this website address into your search bar: https://smile.amazon.com/ch/62-1330400. Every item available for purchase on www.amazon.com is also available on AmazonSmile at smile.amazon.com. You will see eligible products marked “Eligible for AmazonSmile donation” on their product detail pages. MASS INTENTIONS: There are dates available for Mass intentions for 2019. Call now or stop by the office to request a specific date. FIRST WEEKEND FELLOWSHIP: The sign-up sheet for First Weekend Fellowship is up on the wall next to the kitchen. Host families or groups set up drinks and food, and help clean up after the event. This is a fun and easy way to support your parish, and all expenses are reimbursed. 2ND QUARTER MINISTRIES LIST: If you are an usher, altar server, lector, or Extraordinary Minister of Holy Communion, you should have received your emailed copy of the ministry schedule for April through June. If you did not receive it via email, please call the parish office with your correct email address or click here to view it online. There are a few printed copies available in the parish hall by the sign-in book. If you are unable to keep your scheduled times, please remember to find a substitute to replace you. Thank you. RCIA NEWS: The Rite of Christian Initiation of Adults (RCIA) is a process that provides information about Catholic beliefs, how to live a Catholic life, and will, if desired, lead to becoming a member of the Catholic Church. RCIA meets at 6:30 p.m. on Wednesdays until the end of Easter. Anyone desiring to join the RCIA sessions for this year please contact the parish office or David or Linda McCune at (865) 457-5015. BULLETIN ADVERTISING: The parish bulletin currently has space available for three advertisements. If you have a business or know of someone who has a business that they would like to advertise in our bulletin, have them stop by the parish office for pricing or call 457-4073. Thank you to the Ritz Theater, our newest ad patron! GRIEF SUPPORT MINISTRY: We have a grief support ministry to visit the sick and be with the dying and to help members who are grieving. Call the parish office or Joanne Anderson 865-809-1837 if you would like to join this support group. BIBLE STUDY: This group meets at 10 a.m. Tuesdays in the parish hall beginning at 9:30 a.m. Tuesday, Jan. 8. Anyone is welcome, and all are invited to join this group to discuss weekly topics. 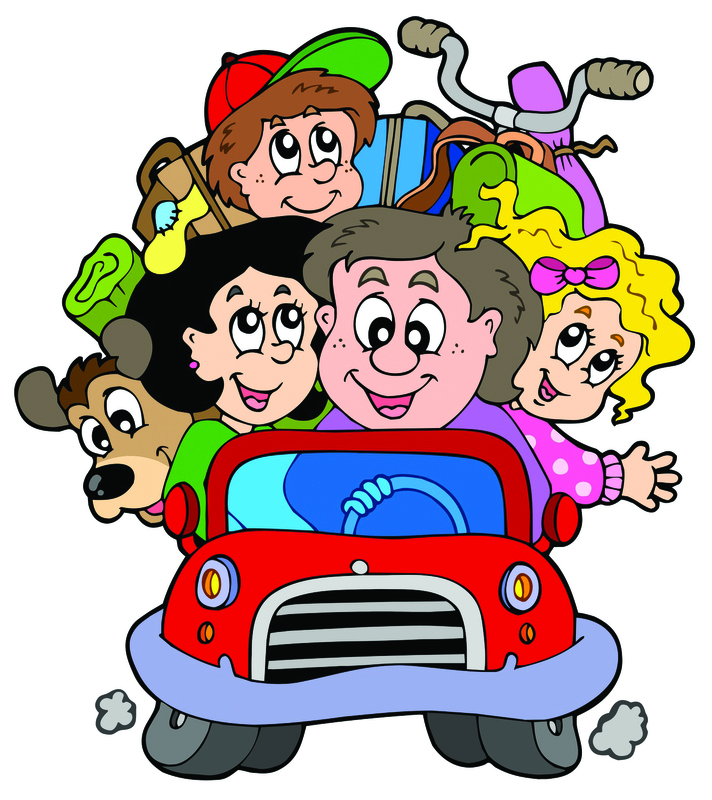 RENEW: Renew meets at 10:30 a.m. Friday in the parish hall. SCRIPTURE PROGRAM: All are invited to attend the Scripture Program, which meets at 7 p.m. Thursdays in the parish hall (and continues throughout the summer months). This weekly program on Thursday nights is open to everyone. Participants will read the upcoming Sunday readings and then have some discussion questions afterward. A sign-up sheet is in the parish hall. For more information, contact Pete or Jean Chiaro. ADORATION: Adoration of the Blessed Sacrament is 9:30 a.m. every Friday after the 8:30 a.m. daily Mass. EUCHARIST TO THE HOMEBOUND: Just a reminder that Joanne Anderson is available to take the Eucharist to the homebound. If you know of anyone needing this service, please contact Joanne at 865-809-1837 or jander3601@aol.com. SOCIAL ACTION: On the second Monday of every month, several local restaurants will donate a portion of their sales to support Aid to Distressed Families of Appalachian Counties (ADFAC). Launched in 2013, “Dine and Donate” is a year-long event, with different restaurant participants each month. FOOD CITY GIFT CARDS: Be sure to use these gift cards when shopping and purchasing gas. They make great gift ideas as well. They can be purchased after every Mass on Saturday and Sunday. They are also available 8 a.m.-2:30 p.m. Monday-Thursday at the parish office. KROGER COMMUNITY REWARDS PROGRAM: Please support St. Therese parish by shopping at Kroger. It’s easy to enroll in Kroger Community Rewards. To get started, sign up with your Kroger Plus card online at www.krogercommunityrewards.com and select St. Therese account NPO #80264. Once you’re enrolled, you’ll earn rewards for our parish every time you shop and use your Kroger Plus card. If you need help registering, please come to the parish office. Thank you in advance for your continuous support. 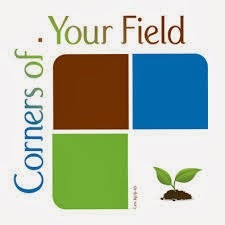 CORNERS OF YOUR WORLD: We create an opportunity for everyone to play a role in helping those in need and experience the joy it brings.